A very peculiar thing happened this past Saturday. We found ourselves without any plans. Rather than go out for dinner, we decided to cook in. 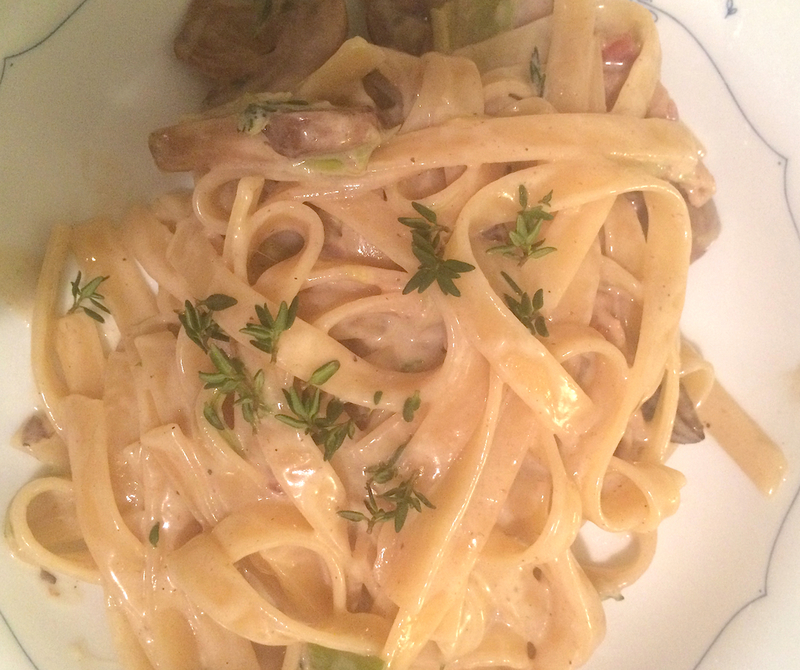 I found a Creamy Pappardelle Bacon and Leek recipe I was eyeing in Bon Appetit. The recipe had everything I want for a Saturday night dinner: pasta, cream, crispy bacon, and a sauteed vegetable. 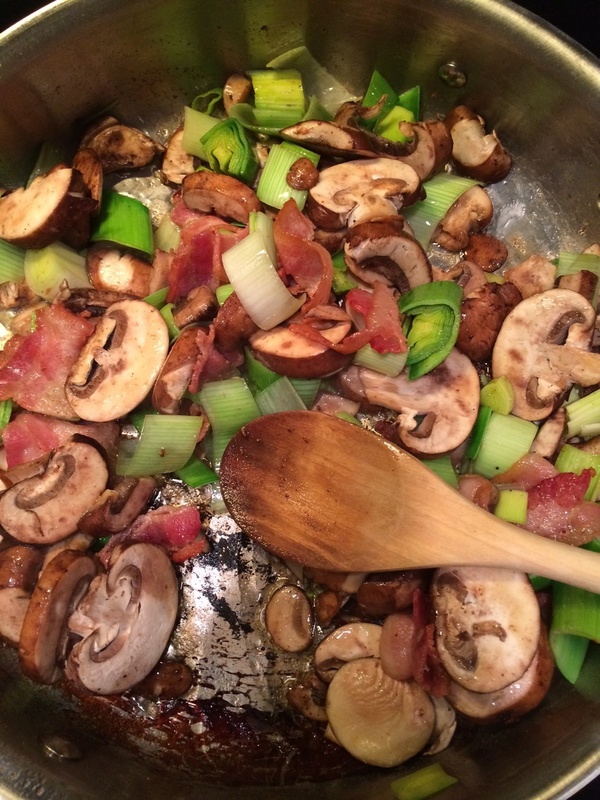 I had a hunch mushrooms would be a nice addition, so we sauteed the mushrooms with the leeks. This meal was a perfect 10. I think it may be our go-to for entertaining. We let the cream simmer for a little longer than suggested, so it thickened nicely and coated the pasta. We sprinkled the pasta with Maldon sea salt and lots of freshly ground pepper. There is an innate and light sweetness to this dish and it's utterly intoxicating. We served the pasta with an arugula salad and a fresh baguette. C'est magnifique.